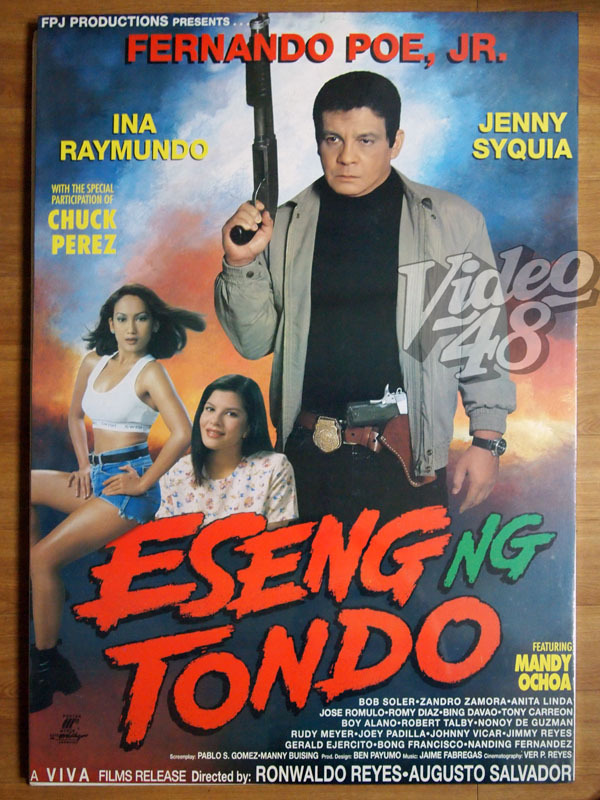 CineMo airs five blockbuster hits from the King of Philippine Movies, Fernando Poe, Jr. to celebrate his birthday this August. 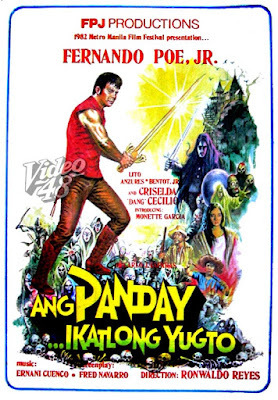 In his hundreds of movies, FPJ not only delivered iconic roles such as Flavio in “Ang Panday,” and Ador and Kardo in “Ang Probinsyano,” but he also directed and produced some of them. Check out his biggest hits throughout a career that spanned decades. FPJ plays former Army Major Ruben Medrano, a grieving man who will stop at nothing to avenge the death of his wife and protect his daughter and their community from a drug syndicate. Flavio (FPJ) is back to defend the world after aliens attack and bring back to life his mortal enemy, Lizardo (Max Alvarado). 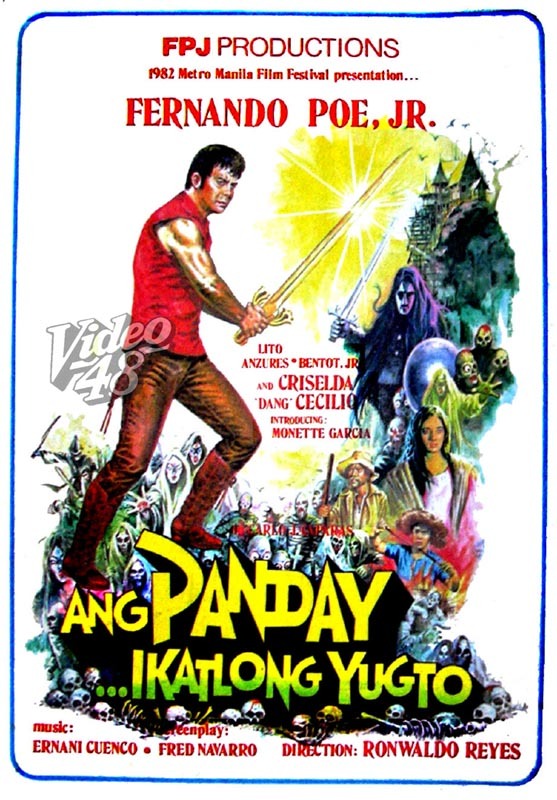 “Ang Panday” is such an iconic character that it has been brought to life by other actors like, Bong Revilla Jr. and Richard Gutierrez. Coco Martin will also bring the swordsmith back to the movies this year. FPJ is Eusebio, a kind and honest hardworking policeman dedicated to his job. However, it is exactly his principles that bring trouble into his life and his marriage after an informant (Ina Raymundo) starts falling in love with him. Da King teams up with the Star for All Seasons in this action-romantic-comedy about an odd couple falling in love. 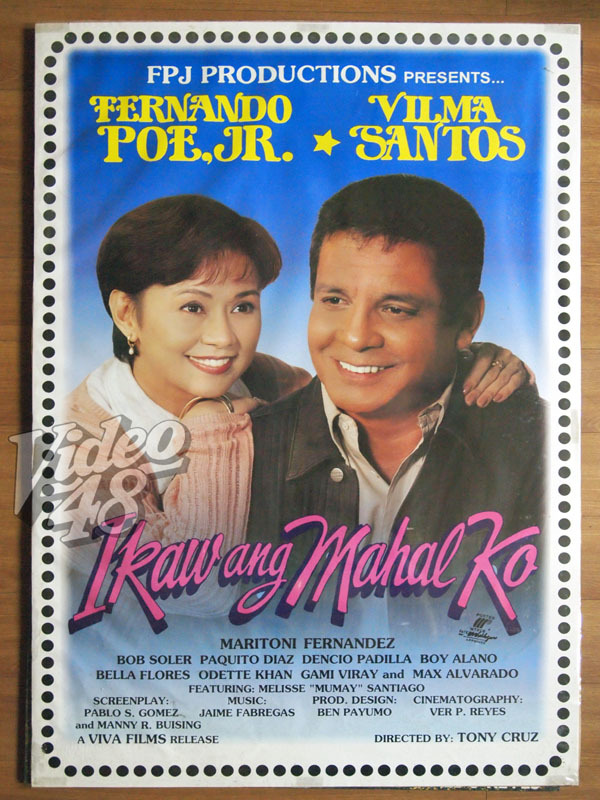 Pilo (FPJ) and Miling (Vilma Santos) do not get along but have to work together to outsmart some goons after Miling finds a notebook that puts her life in danger. Berting Cayabyab (FPJ) is the Barangay Chairman of peaceful Pitong Gatang in Tondo. However, that peace is in danger as his dark part comes back to haunt him. Nanette Medved co-stars as Lamberta “Lambing” Enriquez, the headstrong chairman of the next barangay. 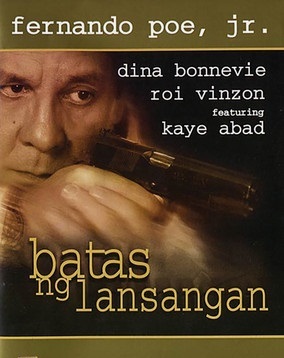 Fans can also catch some of Da King’s other movies every Saturday, 7 PM, on FPJ: Hari ng Aksyon. Watch out for “May Isang Tsuper ng Taxi” on August 19, and “Minsan Pa…Kahit Konting Pagtingin 2” on August 26. CineMo will also premiere the digitally restored and remastered movie “Isusumbong Kita sa Tatay Ko” for free at Cinema 1 of SM North EDSA The Block on August 17. Da King stars alongside the Queen of Philippine Soap Operas, Judy Ann Santos, in this heartwarming story about the bond between a father and his daughter. 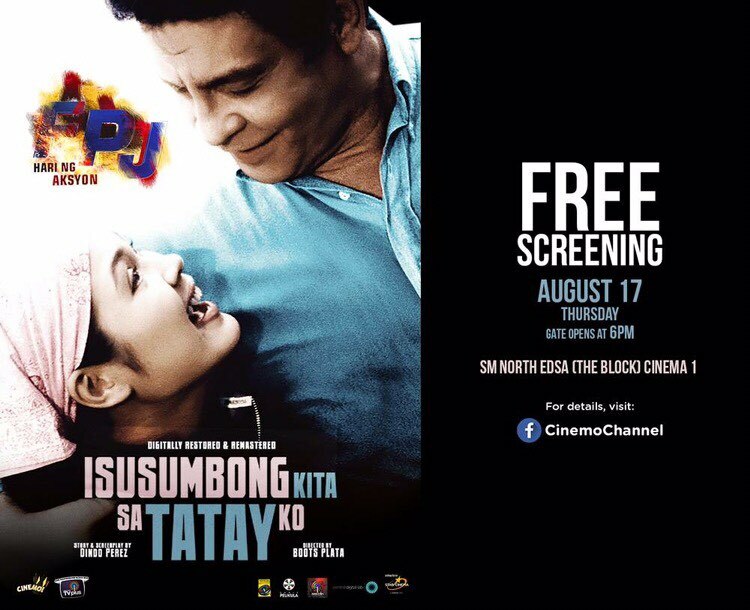 Check the official Facebook page of CineMo to find out how to get free tickets.